Argentina has maintained a conspicuous identity for more than one reason to the world citizens. While soccer fans worldwide, irrespective of their nationality, swear by the men in blue-white striped jersey, many other relate to this South American country though the pages of ‘Motor Cycles Diaries’. And not to forget, those who long for the jaw dropping tacit twist and turn of the tango. All these and many come together. But this is not that Argentina is all about. Argentina, officially the República Argentina, comprises almost the entire southern half of South American continent and is the world's eighth largest country. Buenos Aires is the capital city and a major port. 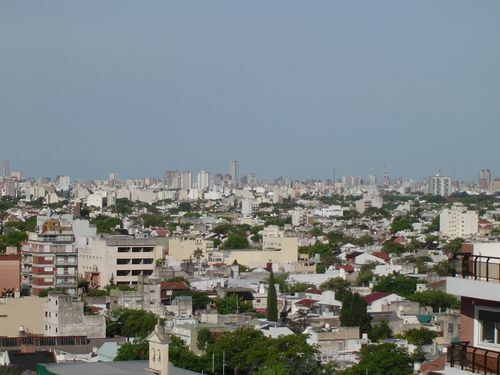 Cordoba and Rosario are the second and third largest city of the country, respectively. Other ports include Bahia Blanca, Deseado and Santa Fe. Argentina is encompassed by Chile, Bolivia, Paraguay, Brazil, Uruguay and the South Atlantic Ocean from different sides. The domestic landscape of Argentina is enriched with some of the world's tallest mountains, expansive deserts and impressive waterfalls. 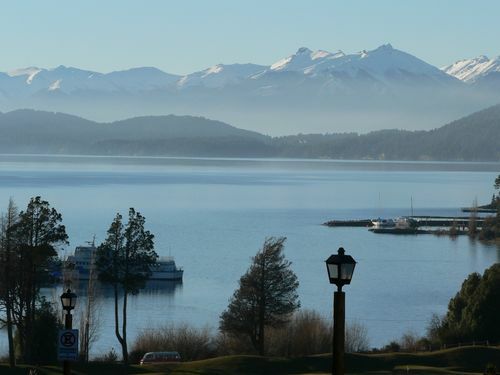 The topographical diversity that ranges from the bustling metropolis of Buenos Aires to the unexplored wilderness of Patagonia adds to the sultry characteristics of Argentina. The rich and vulnerable natural resources of the country are preserved by enlisting them under the Natural Park and Property policy. Demographically, Argentina seems like a chunk out of Europe that has transformed a bit due to the sub tropical climate of the continent. Unlike most Latin American nations, people of European descent, especially from Italian and Spanish origin, dominate the Argentine population. The indigenous American race of the country is least visible now, so are the mixed communities of Mestizo and Gaucho. Chilean, Bolivian, and Paraguayan immigrants comprise rest of the minority. But there rests an amazing religious equality amidst such contrast as about 90% of the population practice Roman Catholicism. The Jewish community accounts for only 2% of the people. Spanish is the country's official language, although Italian is spoken as well. Argentina has one of South America's lowest population growth rates (1.1%) and one of its highest literacy rates (96%). Argentina is a mixed bag of environmental and natural elements. The external frontiers of the country are shared by Chile on the west and south, Bolivia and Paraguay on the north, Brazil and Uruguay on the northeast and the Atlantic Ocean on the east. Argentina’s territory is spread across over an area of 1,072,157 sq mi (2,776,889 sq km). 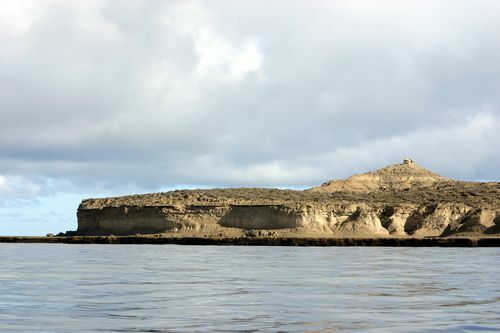 But its jurisdiction extends to an exclave, the island of Martín García, which is situated under the Uruguayan territories. Argentina also laid claim over the British overseas dominions of the Falkland Islands, South Georgia and the South Sandwich Islands and bite off a potion of Antarctica under the name of Argentine Antarctica. This statistical wealth establishes Argentina as the second largest country in South America after Brazil. The mainland of Argentina is triangular in shape and a perfect example of vivid contrasts. To simplify matters, the Argentine region is broadly categorised under three sections pertaining to the different natural settings and climatic conditions. They consist of the central plains of the Pampas, the uneven plateau terrain of Patagonia on south and wild rolling ranges of the Andes Mountains at west. The Argentine plain basically starts from the Atlantic shores and rises up to the towering Andes peaks at the Chilean border. Cerro Aconcagua at 6,960 m is the highest peak not only of the country but the one outside Asia. On the northeast, near the Argentine and Uruguayan frontiers the vast estuary of the Río de la Plata or River Plate that is formed from the combination of the Uruguay River and the Paraná River exists. 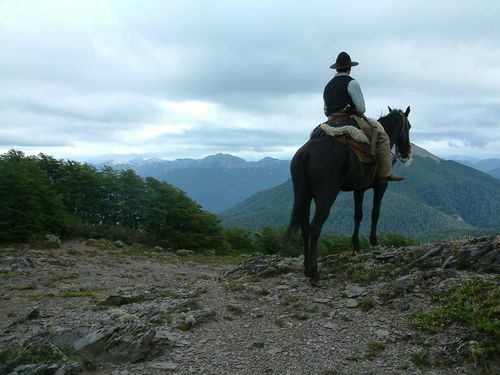 In this area Argentina’s most dense forest exists. 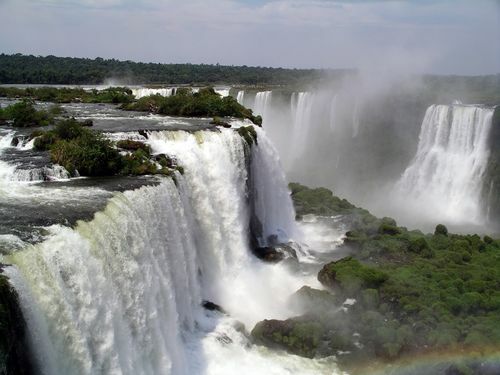 The spectacular Iguaçu Falls lie around this region. Other major rivers of the country are Paraguay, Bermejo, Colorado but Paraná River is the largest among them. While the northern area of Argentina is partly swampy and wooded, the rolling and fertile Pampas are rich in agriculture and support most of the population and industrialisation. Down south, the Patagonian region is a dry area with arid steppes and lesser fertile sections. The climate of Argentina varies from subtropical in the north to cold and windswept in the south. This translates to a weather condition where the northern parts experience hot and sultry summers followed by a substantial rainfall. The southern winds are frozen by the proximity to the Antartic belt. Dry zones are also spotted in some parts of Argentina. But temperate conditions are found too in some regions of the country. Argentina derives its name from the Latin word “argentums” meaning silver and beneath this identity is hidden the starting point of the historical journey. Argentina emerged as a democratic nation in 1983, leaving behind centuries of foreign rule and in fighting. But it was that ‘silver’ lining, which contributed in the present Spanish dominated features of the country. The legend goes that the word about the silver-rich mountain of Sierra del Plata in Argentina touched European shores by first of sixteenth century. This marked the beginning of the influx of foreigners to Argentine territory. Before being first explored by Spanish trader and sailor Juan Díaz de Solis in 1516, Argentina was inhabited by native tribes of Diaguita and Guaraní who resided on the northwest and eastern fronts of Argentina. Argentina developed slowly under Spanish colonial rule, which established its colony in Buenos Aires formally, at the fag end of sixteenth century. The economy was thriving by as early as 1600. Invading British forces were expelled in 1806–1807. When Napoleon conquered Spain in 1808, the Argentinians moved ahead for their freedom. Revolution against Spanish rule took place in Argentina in the early nineteenth century and a government was set up in 1810. On July 9, 1816, independence was formally declared. Though after this, the argentine economy developed by leaps and bounds, the political front was under fire. The following decades witnessed periods of military and civilian rule. Both in World War I and World War II, Argentina proclaimed neutrality but in the closing phase of the second one, declared war on the Axis powers on March 27, 1945. Around this time, emerged one of the most famous periods of Argentine history, the Peron era. In 1946 President Juan Domingo Peron was elected President of Argentina and his legendary wife, Eva, became responsible for labour relations. During this time a wave of unionisation and industrialisation swept across Argentina. Eva died from cancer in 1952 and in 1955 a military coup forced Peron into exile. He returned to Buenos Aires in 1973 with another stint of presidency. Soon after his death the military took control once again. 1982 saw the war between Argentina and the United Kingdom over the British held Islas Malvinas or the Falkland Islands. Following Argentina's defeat and public uprising against the self-appointed National Reorganisation Process, which caused the infamous ‘disappearances’, the army rule was ousted in 1983 and the country returned to a civilian government. Argentina represents perhaps the most amazing economical fallacy in the world. A century ago, the country’s financial condition was at par with top global financial powers. But decades of political turmoil and lack of up to date policy-making dragged down the Argentine GDP and inflated the fiscal deficit. Traditionally, Argentina's economy has been based on agriculture with due support from huge treasure of natural resources. The by and large literate workforce of the country chipped in for healthy progress of industrialisation. Even the agriculture-based export strength of Argentina is rivalled by the European and North American countries. But all these lacked a disciplined methodology and economical foresightedness of the central authorities. The result was an economy that was struggling to fight heavy burdens of debt and high inflation rate. In 1991, the government embarked on the path of privatisation and liberalisation of the market after keeping the natural currency Peso at a fixed rate against the US dollar. Things brightened up but for a brief period of time and the financial situation worsened in 2001 with a negative growth rate of 0.8%. Gradually, the currency fixation was dropped by January 2002 and in the following years the economy prospered with less unemployment and inflation. Argentina boasts of a political set up that has witnessed the all-possible upheavals of power and authority. Foreign invasion, tyranny, military dictatorship, Leftist stringency and federalism, each has influenced the country from time to time and left an impacting consequence. Today, Argentina has a federal system of government. For administrative purposes, the entire nation s divided into 23 provinces and one federal district of Buenos Aires. Each province has its own elected governor and legislature and its own judicial system. The power centre of the country is the bicameral Argentine parliament, better known as the National Congress or Congreso de la Nación. It is governed by the 1853 constitution as modified in 1898 and amended in 1994. From this time on, the country possesses a distinct segregation of power and separate estates of legislative, executive and judiciary. The mandate of the population was taken to account from the elections of 1995. Argentine administration and constitution upholds the president of the country as both chief of the state and head of government. He enjoys a considerable amount of power that allows him to choose his cabinet members and even pitch into implement necessary legal procedures, if situation demands. The president and vice president are elected by popular vote for four-year terms and can be re-elected once. He can run for presidency for third time but only after a break of a full-four year turn. He together with his cabinet members wields the executive orders. The popularly elected national congress is composed of a Senate or Senado and a Chamber of Deputies or Cámara de Diputados. The 72 members of Senate, in short, Senators are represented by three candidates from each province, the federal district and the national territory. They serve six-year terms in total but one-third of them stand for re-election after every 2 years via a partial majority system in each district. The 257 members of Chamber of Deputies serve four-year terms and are elected on the basis of proportional representation. The supreme court of justice is the nation's highest court and represents the judiciary. It has nine members.